There is more than one way to skin a cat, which is a disturbing send-your-child-to-a-psychologist-because-they-might-be-a-sociopath sort of way to say there are multiple ways to solve a problem. And the problem Rinspeed set out to solve in the early 80s was this: Porsche didn’t sell a Turbo Cabriolet (they wouldn’t until 1986). Also, it didn’t have enough side strakes. So what do you think they did? A) take a Turbo and cut the roof off or B) take a Cabriolet and shove a turbo engine in the back of it? Sorry ASC fans, the answer is B. Other modifications included a 928-style front and rear end and, of course, side strakes (which would only magnify in intensity as the decade wore on). 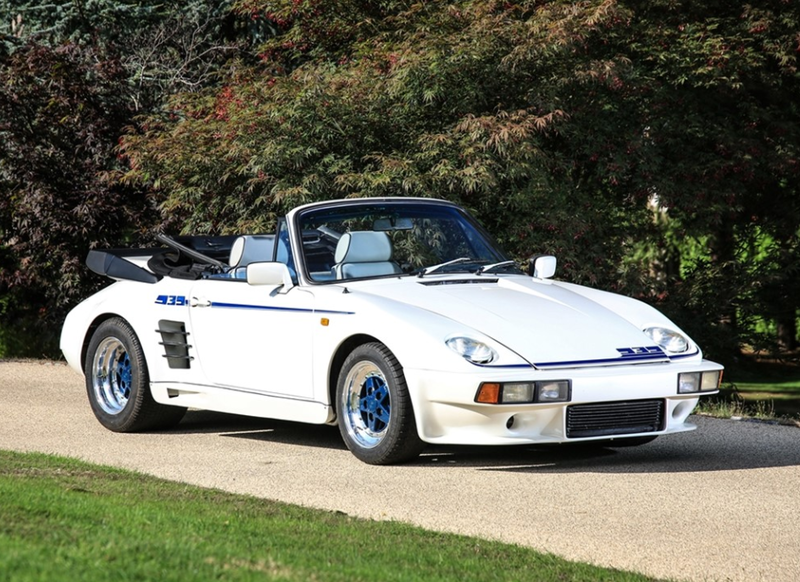 The 930 Turbo engine – a 3.3-liter turbocharged flat-six – is largely unmodified so it still puts out about 296 horsepower. The chassis was reinforced to handle this uptick in power. And about the R39 name: it was originally “939” but Porsche owned that for some reason, so they lopped off the first 9 and added an R for Rinspeed. 939 was decided upon because 11 + 28 = 39 (get it? like 911 + 928 = 939). Anyway, these are super rare examples of 80s decadence and questionable taste. And I love it. It should bring between $90,000-$110,000. Click here for more info and here for more from this sale.